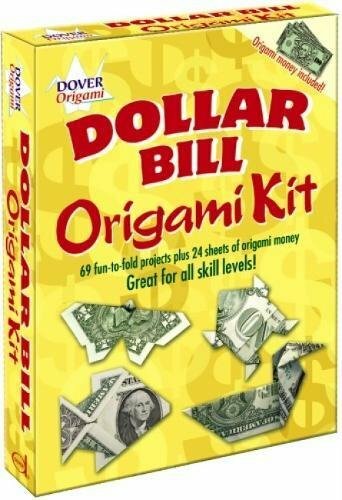 NextDealAddict applies the smartest e-commerce technology to make the consumer shopping experience easy, efficient and fun: find the ideal price for Dover Fun Kits at the most trusted online store. 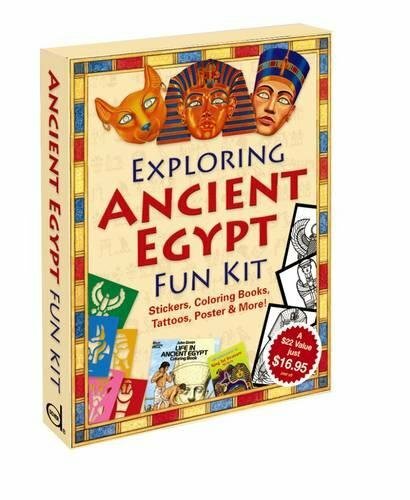 Dozens of Egyptian activities at a king-sized value include 45 stickers, tattoos, and stencils; King Tut sticker paper doll collection; 2 complete coloring books plus 4 stained glass coloring sheets; an Egyptian poster; 3 full-color Egyptian masks; and crayons. 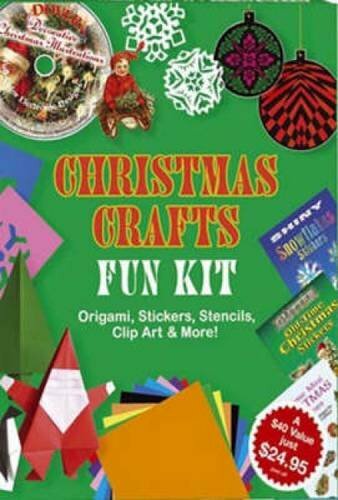 A great holiday value filled with Christmas fun! 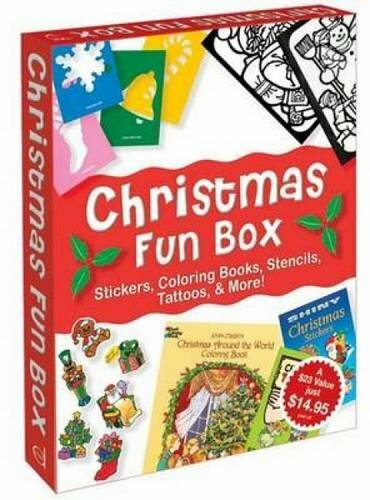 The kit contains over 112 stickers, stencils, and tattoos; decorate your own Christmas tree and snowman; Christmas Around the World Coloring Book; four stained glass coloring sheets; How to Draw Christmas Pictures — Santa, a snowman, and 28 other holiday favorites; and crayons. 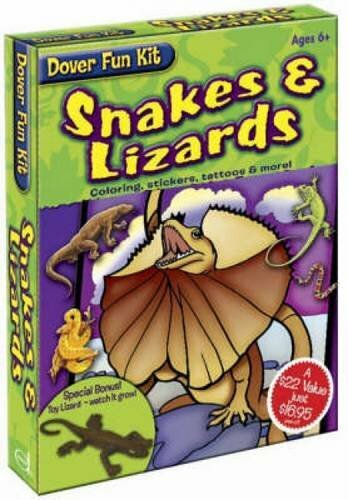 Awesome activities about geckos, iguanas, rattlers, pythons, and other remarkable reptiles! 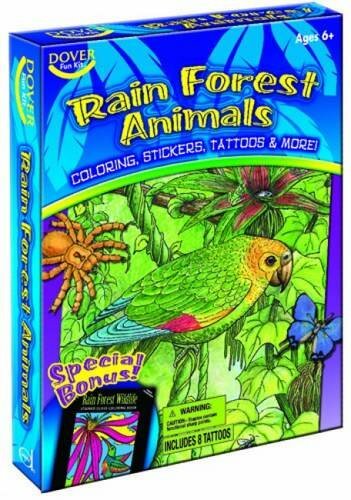 This kit contains Snakes of the World Coloring Book, Lizards Coloring Book, Snakes Stained Glass Coloring Book plus 4 stained glass sheets, 16 terrific tattoos, 47 realistic stickers, and crayons. 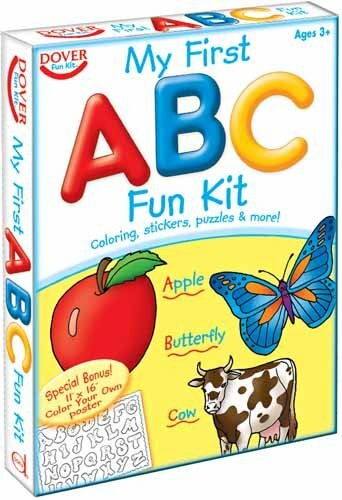 Little boys and girls will love to stay warm and dry indoors with hours of happy activities! 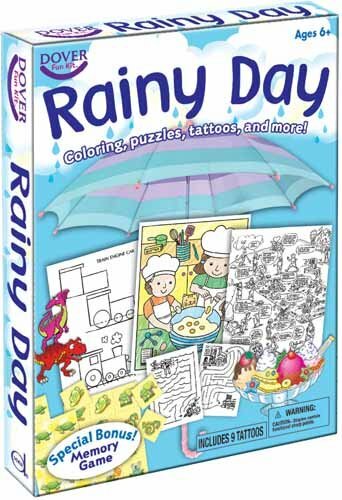 Rainy Day Fun Kit includes: Color & Cook Cupcakes, How to Draw, Make Your Own Ice Cream Sundae sticker book, Find and Color Activity Book, over 70 mazes and hidden pictures, 9 smiley dinosaur tattoos, crayons, and a special bonus "Think Green" memory game. Enter the glorious age of chivalry with medieval knights and warriors bearing shields and swords. 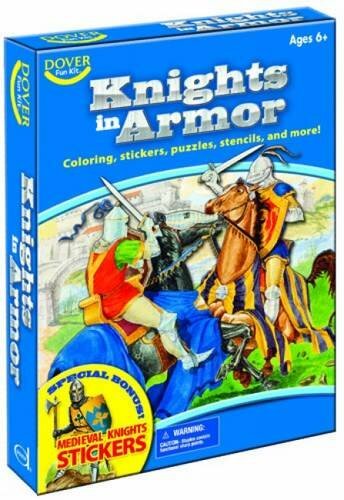 The kit contains Knights and Armor Coloring Book; Knights in Armor Stained Glass Coloring Book; Knight in Armor Sticker Soldier including 4 suits of armor; 6 precut stencils; 2 activity books, including a 32-piece sticker puzzle; crayons, and a special bonus: 20 medieval knights stickers! Get ready for takeoff — these amazing jet-propelled activities will help kids' imaginations soar! 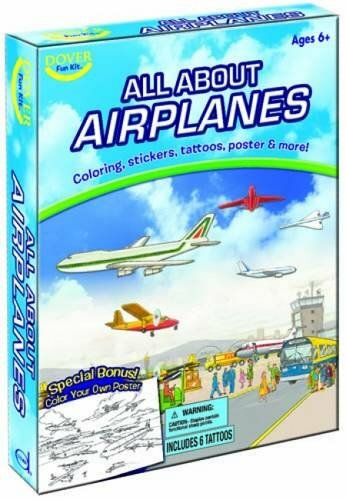 The kit contains My Plane Trip Coloring Book, Jet Fighters Coloring Book, over 50 stickers — including many that shine, 6 tattoos, 6 stencils, Color Your Own poster, and crayons. A creative way to explore the heroes and heroines of mythology! 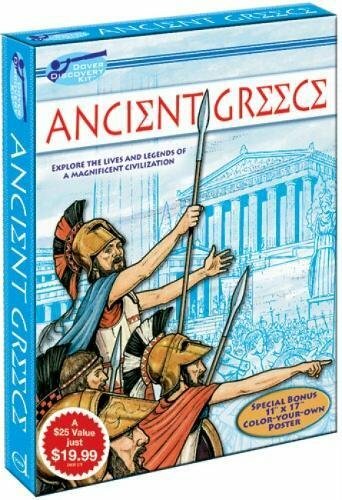 This kit features Favorite Greek Myths — legendary tales of Pandora's box, King Midas, and more; Greek Gods and Goddesses — 22 ready-to-color illustrations; Life in Ancient Greece Coloring Book — more than 40 expertly rendered scenes; Adventures of Hercules Coloring Book — 24 action-packed drawings; The Adventures of Ulysses — 27 ready-to-color challenges; Greek and Roman Gods Stained Glass Coloring Book — 16 translucent sheets; 11 x 17 poster; and crayons. 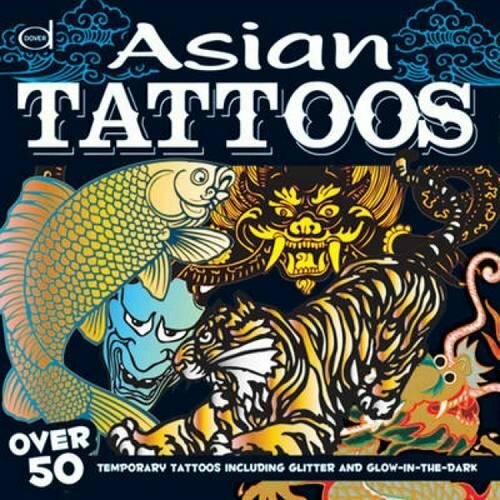 Dive in for a colorful collection of underwater activities! 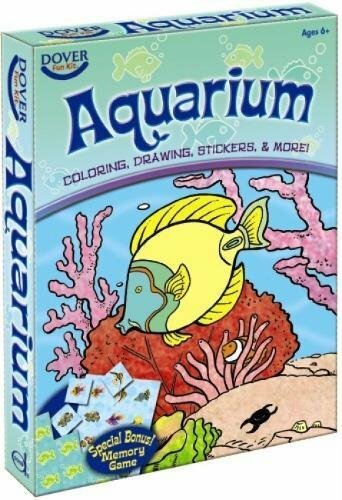 Includes 2 coloring books; How to Draw Aquarium Animals — angelfish, octopus & 29 others; more than 60 puzzles; 70 stickers; 6 stencils; memory game; and crayons. For centuries, the ancient Japanese folk art of paperfolding — origami — has helped teach patience, accuracy and concentration. It remains a rewarding and fascinating hobby for young and old alike. 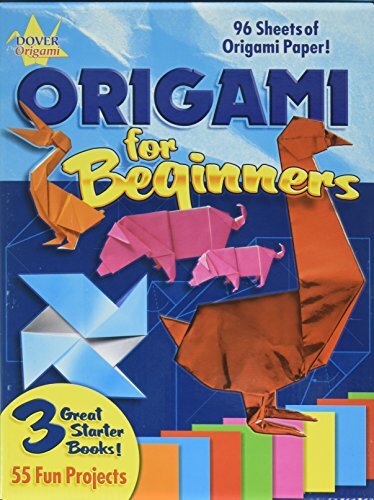 This easy-to-follow introduction offers origami enthusiasts 17 different projects — all pre-tested and graded according to difficulty.Simple instructions, over 100 clearly drawn diagrams, and a supply of authentic origami paper (24 sheets, each 7" x 7", in 12 different colors) help beginners master such simple shapes as a sail boat, jet plane, and paper cup. Intermediate-level paperfolders may find the bird, whale, fish, and penguin more appropriate for their skills, while veteran origamists can enjoy the challenge of creating a seal, butterfly, flapping hand, and other figures.Ideal as party favors, holiday decorations, or intriguing conversation pieces, these colorful three-dimensional objects can be created at home and in classrooms, or used as an activity in camping programs and other social and recreational settings. 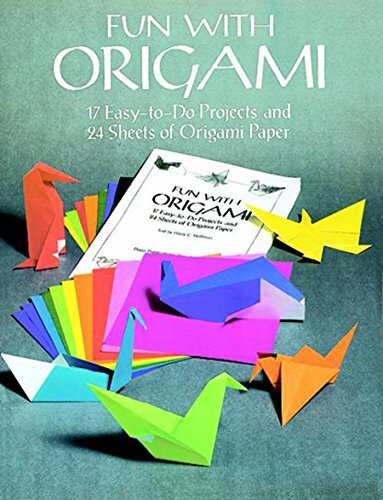 All projects are carefully explained, with every fold neatly diagrammed in a clearly written instruction booklet by origami expert Harry C. Helfman. 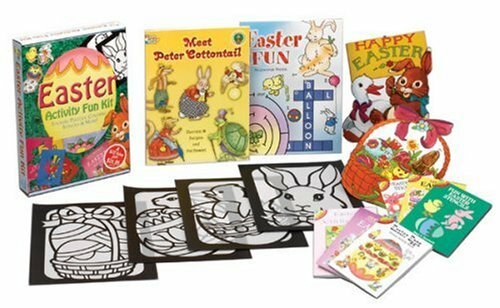 The ultimate doodle collection, here are 240 fun pictures for kids to finish: animals, people, cars, and so much more. 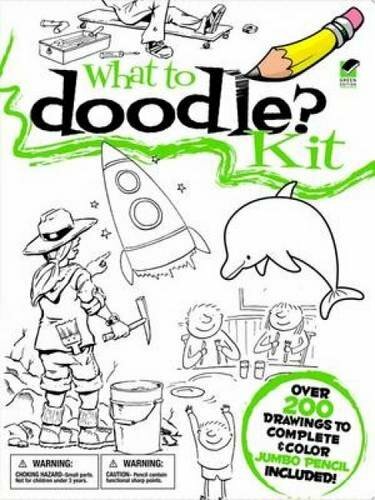 Kit contains What to Doodle? Everything! — 120 incomplete illustrations; What to Doodle? When I Grow Up! — 60 almost-finished drawings; What to Doodle? At the Zoo Little Activity Book — 60 unfinished drawings of a crocodile, toucan, and more; and a jumbo drawing pencil. 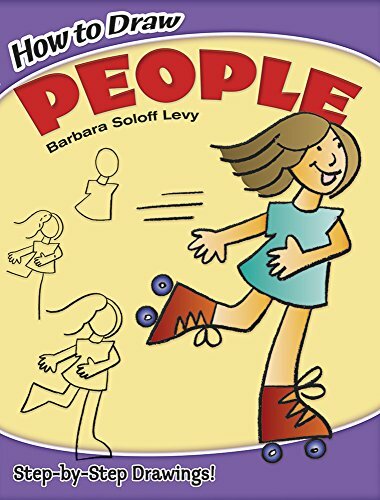 By joining circles, ovals, rectangles, cylinders, and other common shapes, even the budding artist can easily create 30 different characters — a fireman, a drummer, a mailman, a cowboy, an astronaut, a roller-skating girl, a boy on a swing, and more. Simple directions, step-by-step illustrations, and blank practice pages make it even easier. 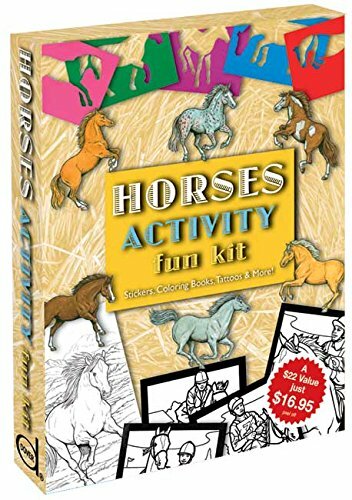 You can color the pictures when you are done — it's a fun-filled way to teach art to young children or a beginner that enjoys drawing. 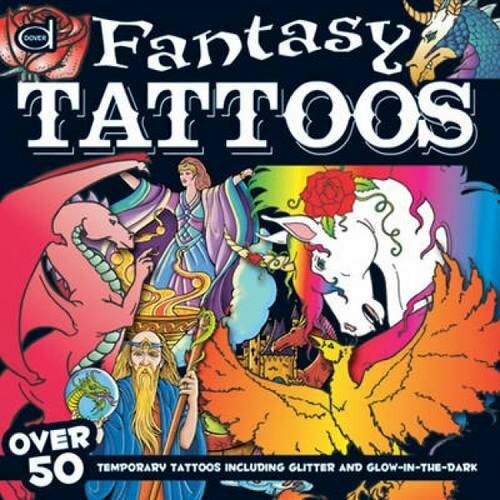 Customers who bought Dover Fun Kits also bought Femme 2.5 Ounce Edp, Maudlin Girl, Linda Horn - you may also be interested in these popular items.